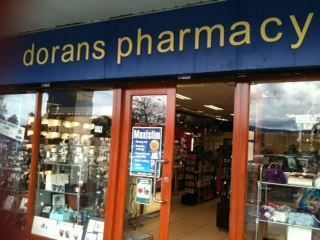 We aim to be a one stop shop for all your pharmaceutical needs. Our highly skilled pharmacists and beauty consultants offer our customers the best advice available. We aim to give you feel good products for the best value in the market. Our product categories include foot care, cosmetics, skincare, holiday and sun care, fragrance, sexual well-being, vitamins, slimming and detox, mother and baby, healthcare, men’s, personal care, and hair care. We provide prescriptions and also facilitate digital printing within the store. Our range of products is diverse with something to suit everybody's taste. Our expert in store staff will aid you with any issues you face as we continue to provide the best customer service in the industry. All our prices are competitive as we strive to ensure that our clients’ needs are met. We are always seeking to add to our range, so call in now and see what we have to offer you. At Whole Health Centre we have a large range of products which include the following. Contact us today to see what we can do for you or pop into our store and avail of our excellent value and services.